Triangle Fastener Corporation introduces a full line of 304 stainless steel bi-metal self-drilling screws. Bi-metal screws have heads and threads made of 304 stainless steel providing corrosion resistance and ductility. A hardened carbon steel drill point welded to a stainless steel body, which allows the screw to drill and tap steel up to ½ inch thick. 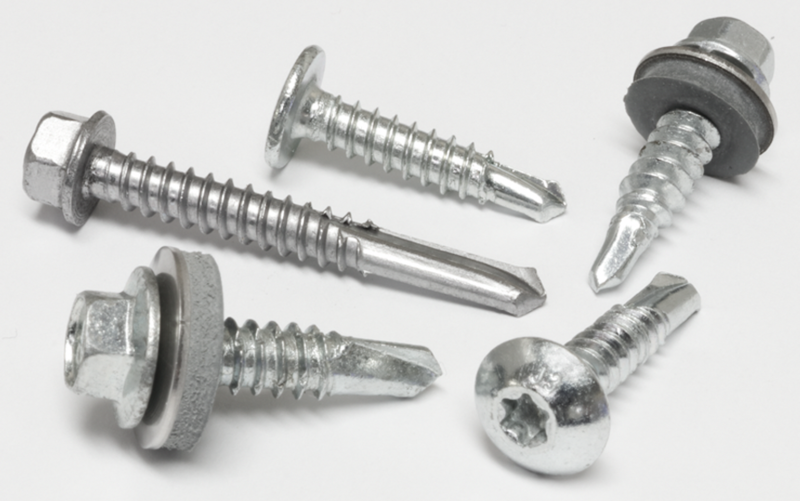 The screws are used to attach aluminum, stainless steel, insulated metal panel (IMP) and when ductility is needed in the connection. Filed Under: Equipment, Latest Products, Metal, Products Tagged With: aluminum, bi-metal, bi-metal self-drilling screws, ductility, EPDM, insulated metal panel, orrosion resistance, screws, stainless steel, Triangle Fastener Corp.